Slingshots have come a long way since David and Goliath and this baby proves it! 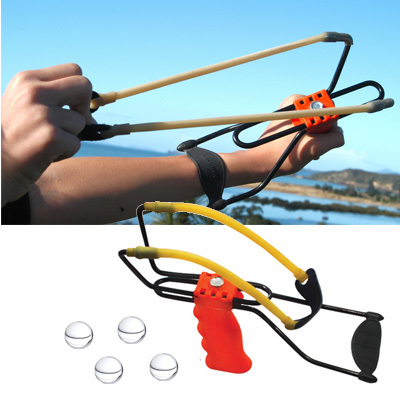 This Slingshot features (2) 7.5" surgical rubber bands for sling power, Plastic handle with molded grip and a sturdy iron frame. Grab this slingshot for FREE- just pay the shipping cost!